• Wait times for knee replacements dropped from 440 to 307 days. • Wait times for hip replacements dropped from 351 to 257 days. • Wait times for cataract surgeries dropped from 311 to 183 days. • Wait times for MRIs dropped from 120 to 105 days. • Wait times for CT scans dropped from 81 to 62 days. • Wait times for bypass surgeries dropped from 49 to 48 days. These "improvements" are unheard of in the United States. Waiting 48 days for a bypass or 105 days for an MRI could very well be a death sentence. A Commonwealth Fund 2005 International Health Policy Survey (slide 16) showed that 41% of patients in the UK and 33% of patients in Canada waited more than 4 months for non-emergency surgery,. Only 8% American patients waited more than 4 months for surgery. 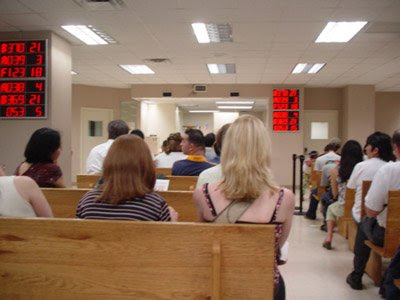 Meanwhile, in Hamilton, Ontario, hospitals are receiving an infusion of cash to cut wait times for diagnostic procedures and certain surgeries, which have become intolerable. And these are precisely the type of government-controlled health-care systems proposed by the Democratic candidates. Not only are they destined for failure, they will cost thousands of lives. And with the UK and Canada as examples, everyone can see the train-wreck coming.